The Animal Welfare Act (2006) is at the heart of animal welfare legislation. Redwings uses the Act to work with horse owners and rescue those in need. Like most legislation, the Animal Welfare Act (AWA) is a complex document. This guide explains what the AWA is, what it covers and how we use it. Please note that the Animal Welfare Act applies in England and Wales. Scotland and Northern Ireland have separate but very similar laws, meaning animals enjoy comparable levels of protection across all of the UK. The introduction of the AWA, which updated and simplified more than 20 existing laws after years of campaigning, consultation and discussion, was a huge milestone in the protection of all domestic animals, including equines. The purpose of the Act is to protect animals from cruelty and neglect, and allow intervention when those needs are not being met. It clearly states the responsibilities of animal owners and gives professional welfare organisations, like the RSPCA and Redwings, the ability to investigate and - where necessary - act upon concerns quickly. How does the AWA protect horses? When an owner is not ensuring the welfare of their horse, our field officers can get involved to help resolve the problem. It’s important to note that the Act does not compel owners to provide the highest levels of care, rather it allows action to take place when standards fall to or slip below minimum requirements. 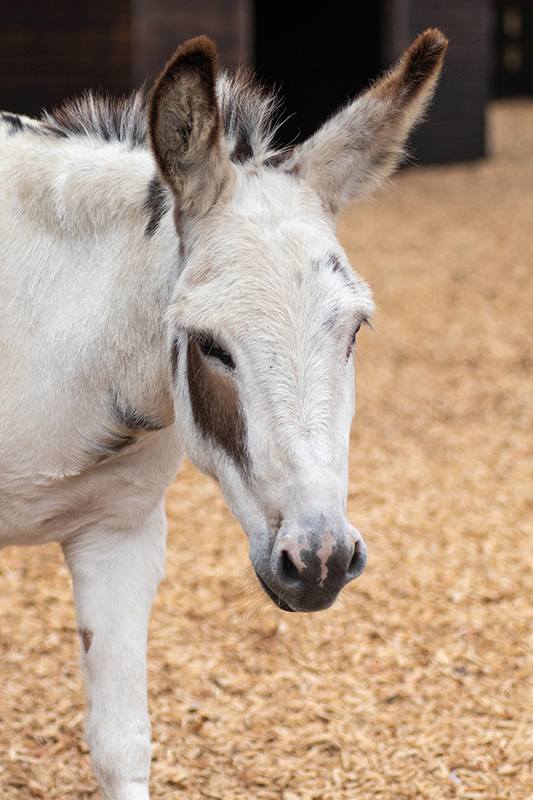 So, while at Redwings we always strive to give our animals the upmost care and encourage others to do so too, we cannot intervene simply because an owner’s standards of care do not meet our own. In the majority of cases, providing advice to an owner can result in real improvements in their horse’s welfare. We help hundreds of horses every year by educating and encouraging owners to meet the needs of their animals, which in turn means the horses can remain in the care of their owner and precious space at the Sanctuary is saved for those most in need of rescue. Advice and warning notices can also be issued by the RSPCA, as well as the police and local authority inspectors, which give the owner clear instructions on what they need to do and by when. However, for this function of the law to work effectively, we cannot talk publicly about the situation or the exact advice being given, which we understand can be frustrating for members of the public wanting to see that action is taking place. It may appear on the surface that little is being done, but in fact significant work will be taking place, often including repeat check-up visits by our field officers and vets. We find this approach the most beneficial as it not only leads to happier and healthier horses, but also ensures the improved welfare of any other animal cared for by the owner in the future thanks to their better awareness and education. When does a rescue take place? Sometimes when advice is not taken or a notice is ignored, or a situation is already very serious, the AWA can be used to remove horses. A horse can only be removed if a vet certifies it to be ‘suffering’ or is ‘likely to suffer if its circumstances do not change’. Taking someone’s animals against their wishes is a major legal step, so the backing of the police or a local authority inspector is also required for a rescue to take place. In court, a prosecution team must be able to provide clear proof of who is responsible for the horse, evidence that offences have taken place under the AWA and demonstrate that all parties, such as Redwings, have followed the law in reaching this point. For us to simply take a horse without proper authorisation could therefore jeopardise prosecutions and potentially see the horse returned to the owner. The law was key to the rescue of over 100 severely neglected horses, ponies and donkeys from Spindle Farm, Amersham, in January 2008. Read this example of the Animal Welfare Act in practice here. What happens after a rescue? 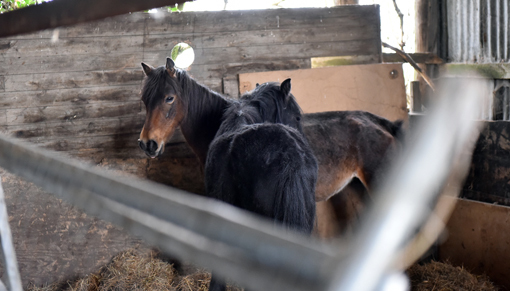 Rescued horses still belong to the owner until the conclusion of a prosecution (unless they have willfully given up ownership of the horses), so they usually ‘board’ at specialist yards or charities, like Redwings, while investigations and hearings are underway. A judge may later make the charities who had cared for the horses the new legal owners following a conviction. Redwings does not prosecute owners, but we work closely with organisations who do, such as the RSPCA and local authorities, and provide key information for their cases. For example, our vets and equine care teams keep careful records of all our boarding horses; from feed and vet treatments, to their weight and behaviour, which can be used as evidence. By showing how well a rescued horse responds to proper care, the gaps in the care given by the owner can be proved. What sentence could someone convicted under the Act expect to receive? For the most severe of cases, an owner could be given a prison sentence up to a maximum of six months. However, proposals are currently on the table to increase the maximum sentence in England to five years. The courts are also able to order owners to pay fines and undertake work in the community depending on the severity of the case, as well as order costs to be paid towards the investigation and the care of the animals while they were boarding. Most importantly, the courts have the power to ban owners from owning, caring and trading equines so they will never be able to cause harm to another horse again. Read the story of Welsh Cross mare Bella and her son Charlie whose former owner was successfully prosecuted under the AWA. Is there other legislation that protects horses? While the Animal Welfare Act is the leading piece of animal welfare legislation, it cannot cover all equine-related issues. Laws are regularly reviewed and updated and sometimes additional legislation is needed to deal with specific issues. For example, the Control of Horses Act 2015 was introduced to tackle horses being illegally grazed, known as fly-grazing. There are also specific laws relating to equine transportation, passports and microchipping, farriery, euthanasia, ragwort, veterinary medicines and markets. 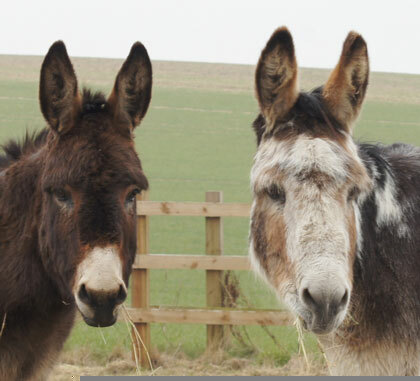 If you have further questions, please call our welfare helpline on 01508 481008 or email welfare@redwings.co.uk. Please remember we are not legal experts so if in doubt, seek legal advice.